West Indies leveled the ODI honours by securing a commanding seven-wicket win in the fifth ODI. 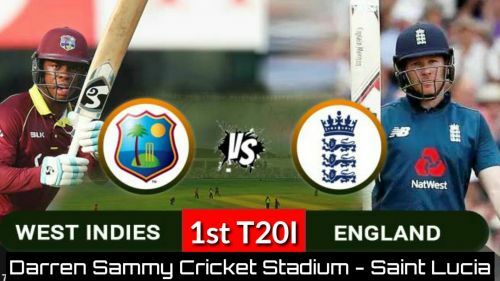 Now they will host the visiting England team in the three T20 internationals and the opening fixture will be played on Tuesday, March 5 (Wednesday, March 6 - 1:30 AM IST) at the Darren Sammy National Cricket Stadium in Gros Islet, St Lucia. Head to Head Overall Stats: Both teams have clashed in the 15 T20 international games against each other, and the Men from Caribbeans clearly dominates the head to head scoreline by securing 11 of those. Head to Head in Windies: The Caribbeans have hosted the English boys on five T20I occasions and England managed to end their unbeaten home run on the last occasion. However, this will be their maiden T20I clash at St Lucia. West Indies aim to end their poor run in the shortest format. 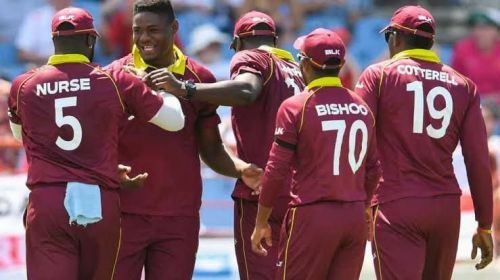 The Caribbeans are struggling in the shortest format by losing 10 out of their last 14 games they have played since the beginning of 2018. But at home they have won their previous five fixtures on the trot, which should boost their confidence ahead of the clash. Chris Gayle was in prime touch during the ODIs and smashed 424 runs in his four innings which include two magnificent centuries and two fifties. With the kind of form Gayle currently possesses, the opponents are likely to have a tough time on the ground, in case they failed to get him out early. While Nicholas Pooran, Shimron Hetmyer and Shai Hope are the other key batters in the line, who are capable to get the team through in case of Gayle's early dismissal. Oshane Thomas, Sheldon Cottrell and skipper Jason Holder are the three specialist bowlers in the Caribbean lineup and had a decent run in the recently concluded ODI series and shared 23 wickets among them. These three along with all-rounder Carlos Braithwaite are expecting to rip through the opponents' lineup in the T20I series. Jason Holder (C), Chris Gayle, Carlos Brathwaite, Ashley Nurse, Devendra Bishoo, Sheldon Cottrell, Oshane Thomas, John Campbell, Shai Hope (W), Nicholas Pooran and Shimron Hetmyer. to revenge the hosts in the shortest format. On a similar note, the British too have been quite inconsistent in the shortest format and have not been able to replicate their ODI show in T20s. 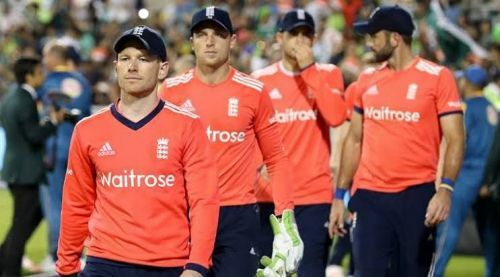 They have won only four out of the nine T20 matches they have played since 2018. Skipper Eoin Morgan was visitors leading performer in the ODI series, and in the absence of Jos Buttler, who has been rested for the T20I series, rested, the skipper himself along with openers Joe Root and Alex Hales wi be expected to get the team off to a fling start. While Jonny Bairstow, with his ability to score the big runs could be a vital option in the middle order in case they face early hiccups. Adil Rashid and Mark Wood were team's best bowlers during the ODIs. Where Adil topped the wickets chart by picking nine scalps, Wood followed him by clinching seven wickets and these two will once again be expected to make a major impact here in the T20s too. While Sam Curran and Chris Jordan will be Morgan's key shuffles in the middle overs and the skipper will need them to put their best show on that occasion. Eoin Morgan (C), Sam Billings, Joe Denly, Sam Curran, Chris Jordan, Adil Rashid, Tom Curran, Mark Wood, Jonny Bairstow (W), Alex Hales and Joe Root.